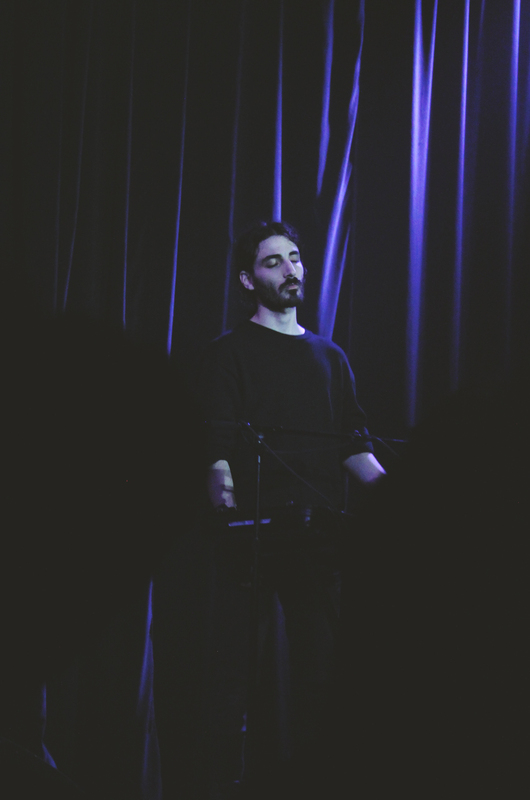 A little while back we made an impromptu visit one of our favourite San Francisco venues, The Chapel, to see Montreal's Majical Cloudz. As the room started filling up for the support act, She Devils (also from Montreal), what looked like a young, moustachioed Connan Mockasin stepping on to the stage in to a harsh spattering of dark electronic beats and clashes. He was then accompanied by Wynona Ryder's Lydia, commanding the audience with her slight frame and brooding stare, as she swayed around on stage like a creature risen from the grave. It was only towards the end of the set that their performance cracked for just a moment and you noticed how young and vulnerable they suddenly were. 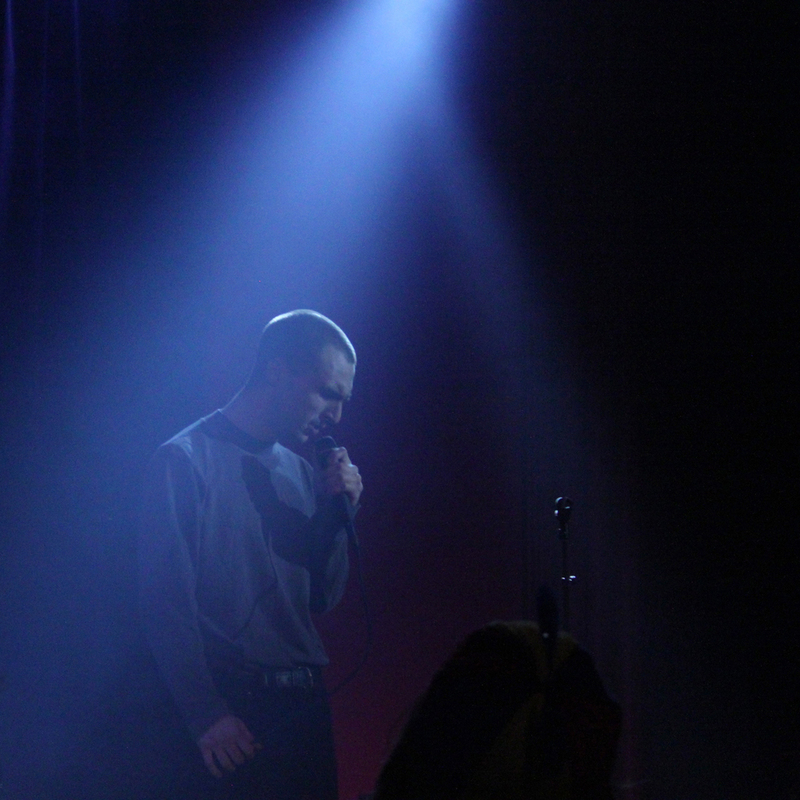 The men of Majical Cloudz took up the same amount of space on stage, but their presence managed to reach every corner of the venue. 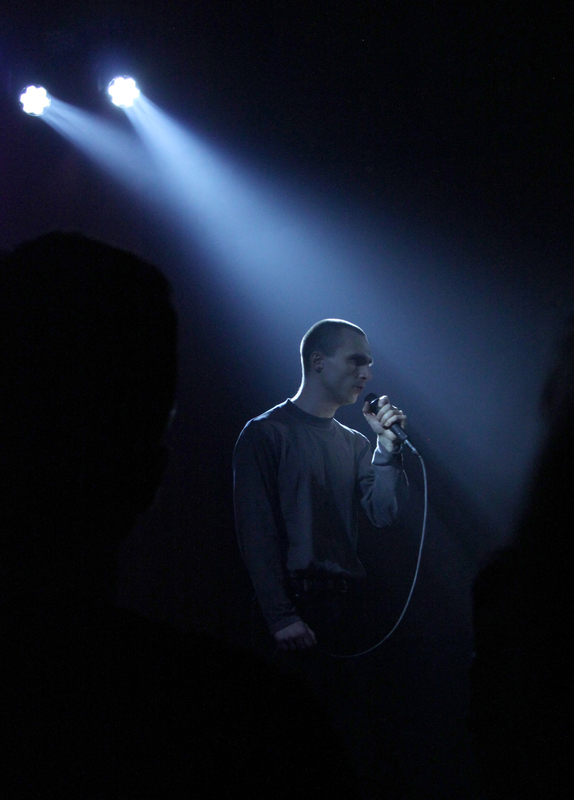 Partly the stark, harsh appearance of front man Devon who had an awkwardness on stage that we couldn't quite tell was genuine or orchestrated, his polite manner in addressing the audience made his British skinhead look soften to that of a strange and intriguing Canadian. On keys/beats/everything else was Matt who we'd had the pleasure of meeting before briefly in New York, far more charismatic and certain in his looks and movements, he acted as back seat driver of the whole act, I became very aware of his ability to bustle on in the background cooly, while letting Devon's voice and sunken cheekbones captivate the audience in the stark lighting. Stopping before "Downtown" to explain to the audience precisely how many songs were left in their set, they carried on through the momentary audience fight that broke out, and ended the evening with Devon wailing repeatedly "I never think about dying alone", over and over again until you couldn't help wonder if it was himself he was trying to convince.